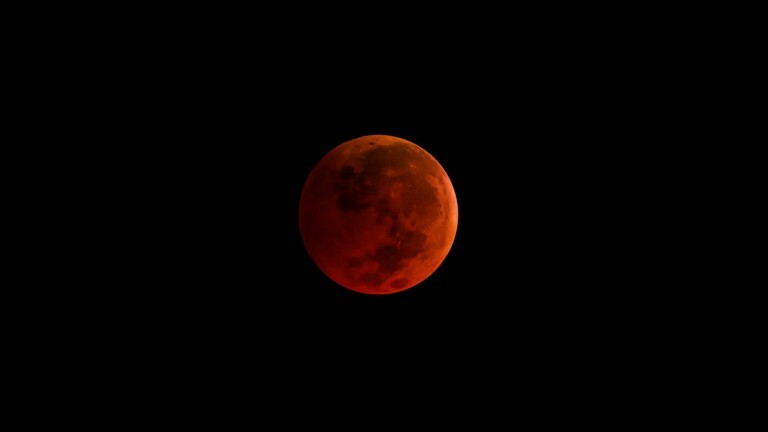 What Exactly is a Super Blood Wolf Moon? So a “Super Blood Wolf Moon” sounds pretty impressive, right? It’s actually a combination of three separate astronomical events happening all in one night! And this night just happens to be on Sunday. First of all, a supermoon is a full or new moon that closely coincides with perigee. Perigee is when the moon is at its closest point to Earth during its orbit each month. So when the moon is full and at perigee, it’s called a supermoon! Supermoons appear slightly larger than a regular full moon. A blood moon is just another name for a lunar eclipse! A lunar eclipse happens when the moon passes through the Earth’s shadow. When this happens, the moon appears to have a red color. A Wolf Moon is the name of January’s full moon. In Native American and early Colonial times, wolves were often heard howling outside villages at this time of year. According to The Old Farmers’ Almanac, that is how January’s full moon was named the Wolf Moon. The lunar eclipse will begin at 9:36 PM on January 20 and continue until 2:48 AM on January 21. The maximum eclipse will be at 12:12 AM. This is when the moon will appear the most red, and the best time to see all of these events occurring at once! Unfortunately for us on Delmarva, we have an active weather system moving through on Sunday that will bring lots of clouds (along with rain, a wintry mix, wind, and plummeting temperatures). Most of the precipitation will be moving out of the area on Sunday night, so there may be some clearing around midnight. If we’re lucky, we may catch a glimpse of the Super Blood Wolf Moon!